Which PIR Tax Rate Should We Use For Joint Investments? We have joint investments - my wife works (for which I am eternally grateful), and I don't (well, not for much money in any case). Her PIR rate is 21 per cent and mine is 12.5 per cent. So far, so good. But when I went to advise the manager of one of my investments they said: "We can only hold one rate." And I can recall reading that this would be the higher rate. So I called IRD and was told: "You can use either rate". "But you wouldn't accept it if I used the lower rate, I'd be doing you out of tax." "I'll ask my supervisor." Ten-minute wait! "You probably should use the higher rate." "But that seems unfair that on half the income I am paying too much tax." "Wait a minute." Or was that 10 minutes? "You should supply them with both rates." Which takes me back to exactly where I started. Can you please help? I just want to pay the correct amount of tax, not too much and not too little. Mary Holm: Your letter reminds me of a song we used to sing as kids. It starts with Henry telling Liza: "There's a hole in my bucket." As the song progresses, Liza tells Henry to mend the bucket with straw, cut the straw with an axe, sharpen the axe with a stone and soften the stone with water. But how does Henry fetch the water? In his bucket, says Liza. To which Henry, of course, responds: "There's a hole in my bucket." I took your sad tale to Inland Revenue, and here's what a spokesman says: "Where the investor is a joint or partnership account, each of the holders is required to ensure their share of the income is taxed correctly. Where the PIRs of the holders are different, the PIE would need to apply each holder's rate to their share of the income. This would require some form of split of the account. "There are a number of different systems operating within the PIE industry that could see different ways of managing this. You should discuss this with your fund manager." I'm afraid that you are, indeed, back at the beginning. Better luck this time with the fund manager. If they baulk, perhaps you should take this Q&A to show them. If I Overestimate My PIR Rate Can The IRD Keep The Overpayment? Tax Minimisation: What Are My Accountant's Obligations? At What Point Does A Stock Trader Need To Pay Tax On Profits? If I Own A House And Then Rent It Out, Can I Claim Expenses? 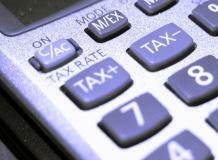 How Can I Reduce My PAYE Tax?